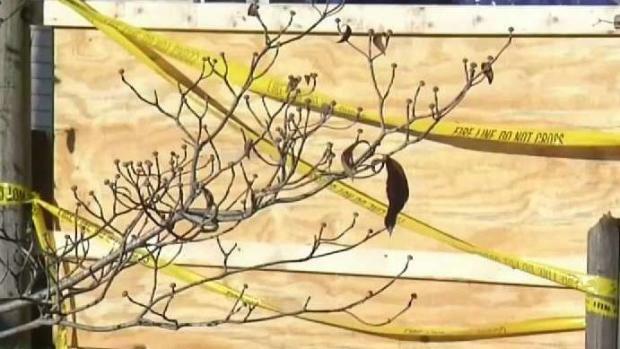 Nicole Ricci was just minutes away from her home before she was killed when the driver of the car she was in slammed it into a Holbrook, Massachusetts home on Sunday. 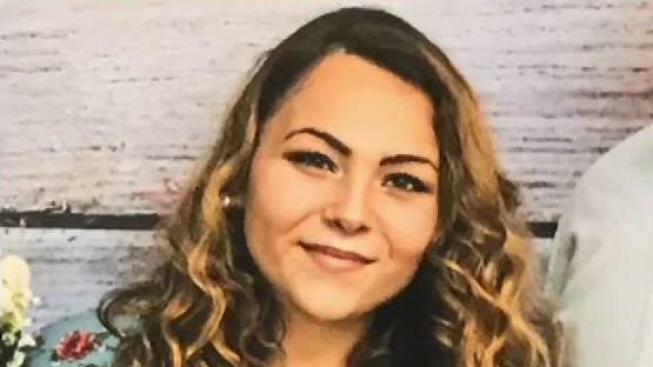 The 20-year-old Stoughton resident would have celebrated her birthday next month but rather than setting up candles for a cake, Ricci's family are using them for her vigil. Police responded to a motor vehicle crash on Route 139 shortly before 5 a.m. At the scene, they learned the vehicle Ricci was in was traveling west on Route 139 when it crossed over the lane and struck a telephone pole. The incident caused the vehicle to go airborne before it crash-landed on the roof of a home on Kingsley Street. "I heard a loud bang. I thought somebody smashed into my truck, so I came outside and I hear a kid moaning, crying in a lot of pain," Patrick Touhey, who lives across the street, said. Nia Hamm reports from Holbrook, where a 20-year-old woman was killed in a car crash early Sunday morning. He says he found a male victim laying outside of the car, by the roof. He pulled the victim out after calling 911. The two male occupants of the car, a 21-year-old man from Holbrook and a 19-year-old man from Holbrook, were transported to a nearby hospital with serious injuries. A person who knew Ricci told NBC10 Boston that she was well-liked by everyone. "She was that type of person. Everybody liked her," someone who knew the victim told NBC10 Boston. "There's no hatred towards her." According to officials, the house sustained serious structural damage. The people who live in the home were not there at the time of the crash and they are now looking for another place to stay. The family dog was at the home during the time of the crash but was uninjured. 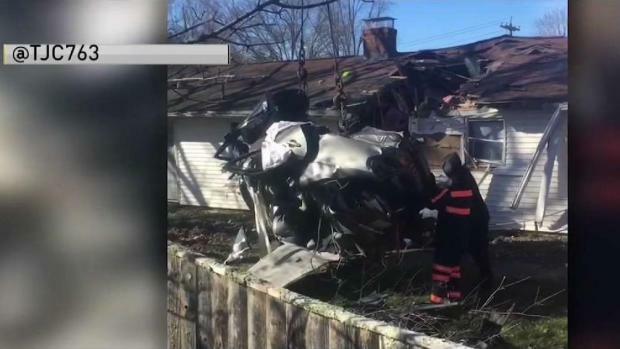 Authorities are continuing their investigation after a car lost control and crash-landed into the roof of a home, killing one of the vehicle's occupants. Carter, who lives in the home with her sister and daughter, said she left her home to meet up with friends just before the crash occurred. Authorities extricated Ricci and rushed her to an area hospital, where she died. According to Ricci's uncle, the victim was in the car with her boyfriend, Hector. It's unclear if he was the one driving the car. A vigil for Ricci will be held at Holbrook Lake at 5:30 p.m. Monday. The crash remains under investigation, but police believe speed played a factor. 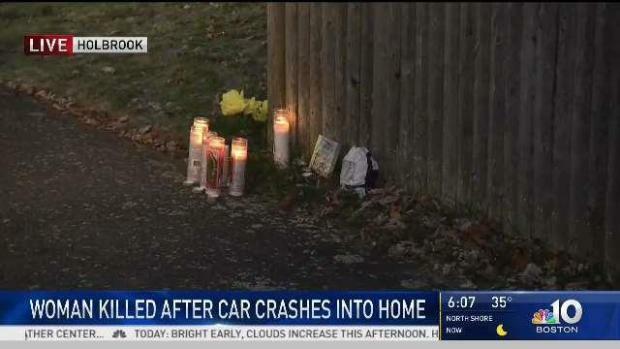 A small memorial has been set up for Nicole Ricci who was killed in the Sunday morning crash.